My sister, Alice, is a wonderful cook and baker. I love it when she makes me something from her kitchen – it is such a treat. Not only does it taste great but it blesses me with another treat – not needing to cook! Alice makes all sorts of yummy cupcakes as well. 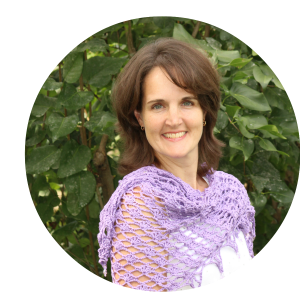 She is known at work and around her church family as the “Cupcake Wizard”. So, every time I see a cupcake, I think of her. 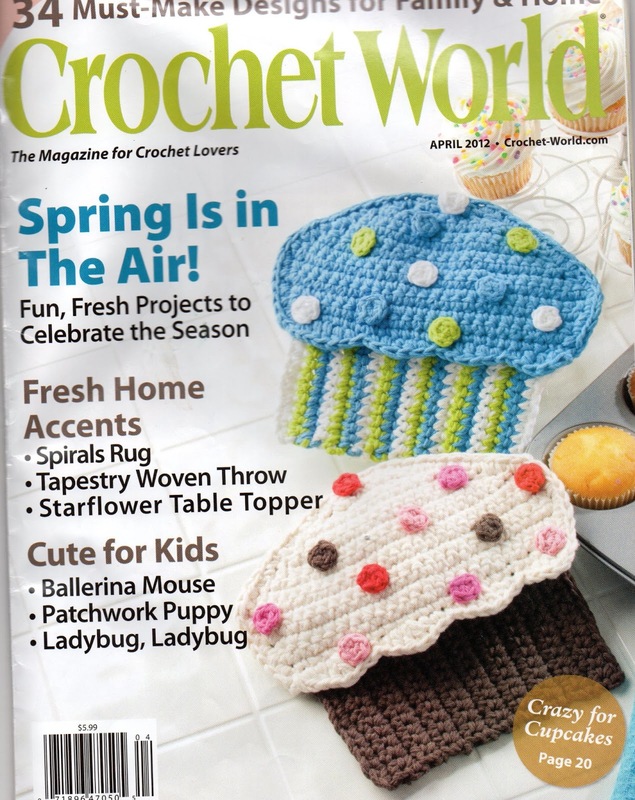 I saw these cupcakes on the cover of Crochet World! (April 2012) last year and made her one for her kitchen. They are potholders and made out of 2 strands of cotton yarn – Lily Sugar ‘n Cream. I used the Chocolate color for the base as suggested by the pattern but I used Rose Petal for the frosting. It is a beautiful color and the yarn has a perfumey smell. Then I used Country Red for the cherry on top. I made a simple ruffley flower-like cherry – unlike the original pattern. I love how it turned out and Alice says she uses it everyday. It’s great when a project turns out pretty and practical!